This poncho is knit in 2 pieces. The difference between sizes is the length of the finished poncho. 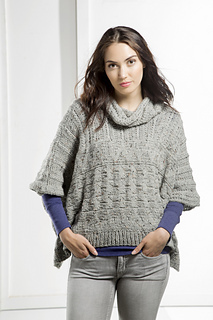 The Cowl Neck is knit sideways and seamed to the neck opening.